Kolkata, Aug 20 : Amid fears of losing export markets to other nations due to the ongoing unrest in the northern West Bengal hills, Darjeeling's tea planters are hoping that the Geographical Indication (GI) tag will enable them to regain their market share in the future. All plucking and manufacturing operations in Darjeeling's 87 gardens have been suspended since June 9 due to the crisis in the region with an indefinite shutdown continuing for over two months. 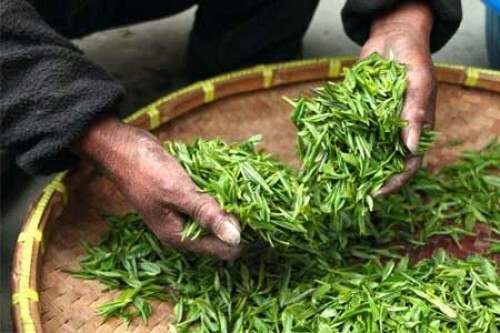 As a result, there is no availability of second flush premium quality tea in the export market, which is a "setback" to the industry and also to overseas buyers. Darjeeling has been on the boil since June 8 after the principal hill party, the Gorkha Janmukti Morcha (GJM), renewed the movement for a separate Gorkhaland state. The GJM began the indefinite shutdown from June 12. "Due to non-availability of Darjeeling tea, the buyers would not be able to get it. If they are unable to get it, there is a possibility that players from other countries -- Nepal, Sri Lanka, Kenya -- will be able to make a breakthrough into the market," Aditya Khaitan, Vice Chairman and Managing Director of McLeod Russel India, the world's largest bulk tea producer, told IANS. Citing a 1984 situation when there was an export ban on CTC (crush tear curl) tea -- the most popular and largely produced variety in the Indian domestic market -- he said: "I heard that due to the export ban, lot of English market players started buying Kenyan tea. Till now, it is difficult for us (the industry) to get back the market share that the industry had in 1984. The only concern is that if the players change the blend and get tea from some other origin, Darjeeling may have difficulties in future. It is an apprehension." Echoing Khaitan, Goodricke Group Ltd's Managing Director A.N. Singh recently said the morning cuppa could not go empty, and as such, tea from other origins, which are similar to Darjeeling, would "make their way through". "Once the original tea is replaced by the blend, it (Darjeeling tea) would lose the market favour and this is our biggest fear," he said. It seemed obvious that the current year's exports would be hit as the production was only 2.07 million kgs in the January to June period, against 8.13 million kgs during the entire 2016. However, Darjeeling's tea planters are hoping that the GI tag to the varieties of muscatel flavour tea (a unique taste found in some variants of Darjeeling tea) would help the industry regain its market share in future, particularly once the supply normalises. "People will look for alternatives when Darjeeling tea is not available. This is a short-term phenomenon. Due to the unique nature of Darjeeling tea, no one will be able to replace it completely and a GI tag should help in keeping its brand equity intact in the markets," Ashok Lohia, former Chairman of the Darjeeling Tea Association (DTA), told IANS. Similarly, the present DTA Chairman, Binod Mohan, said: "Darjeeling tea is protected under the GI Act and I doubt if any other origin tea can replace it. But there would be a shortage in the market as the quantity of Darjeeling tea now available would be sold out in some point of time." Meanwhile, faced with an "unusual situation" arising out of the indefinite shutdown in the hills, Darjeeling's tea planters have sought "financial support" from the central government. "They (Tea Board) wanted a specific proposal and that is being prepared," Mohan told IANS. He said industry had earlier faced hardships, but it never experienced such a prolonged shutdown in the second flush production period. The second flush production is considered the premium variety that contributes about 20 per cent of the industry's annual production and accounts for approximately 40 per cent of its annual revenue. The estimated loss to the industry has mounted to Rs 350 crore, Mohan added.